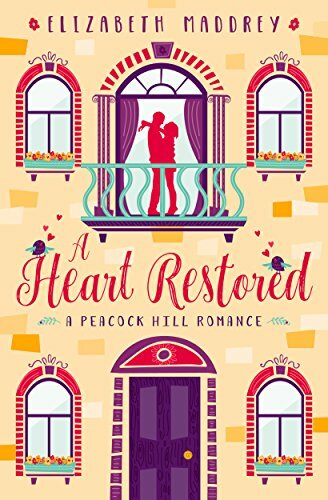 A Heart Restored by Elizabeth Maddrey is a wonderful Christian romance. It is the first book in the Peacock Hill Romance series and I cannot wait for the rest of the books. Elizabeth Maddrey always writes charming stories that are grounded in God. 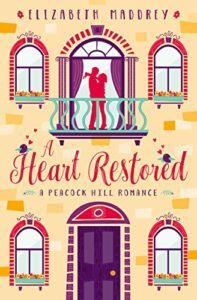 A Heart Restored explores relationship with God. Sometimes life intervenes and we push God away. “She and God hadn’t been on speaking terms.” It is hard to trust God when life seems to be falling apart but He always has our best interests at heart. Relationships work best when we communicate and are honest – with others, with God and with ourselves. We need to be sure to listen too. “You’ll hear God more clearly if you’re working on your relationship with Him.” That means praying, listening and going to church where we can meet with a body of believers that will help in our journey. Relationship with God is not about being a Sunday Christian but about including Him in every aspect of our lives.